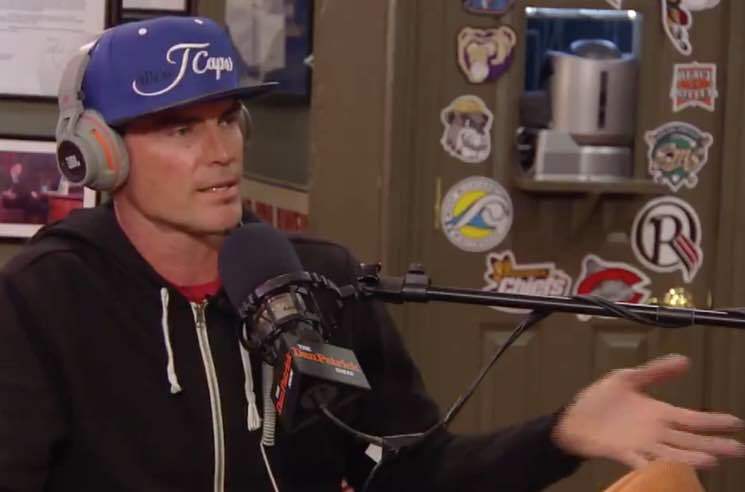 Vanilla Ice ​Apparently Owns the Rights to "Under Pressure"
Noted Adam Sandler fan Vanilla Ice famously sampled Queen and David Bowie's "Under Pressure" on his 1989 hit "Ice Ice Baby," and it turns out the rapper now actually owns the rights to the original track whether you like it or not. In a new interview with The Dan Patrick Show, Ice revealed that rather than just settling out of court when Queen and Bowie sued him in 1990, he ended up just buying the rights to "Under Pressure." He explains that "he went to Brian May and bought the song," because owning the publishing rights worked out to being way cheaper than battling both Queen and Bowie in court. Despite Ice's ownership of the iconic track, the court case did eventually result in Queen and Bowie getting official songwriting credits on "Ice Ice Baby." When host Dan Patrick points out that Ice famously denied ripping off the track in the '90s with this hilariously flimsy explanation, the rapper laughs it off and admits he was being an idiot. "Yeah, I was being a jackass," he says. "I was Jackass before Johnny Knoxville!" Watch the interview clip below, then compare "Ice Ice Baby" and "Under Pressure" for yourself.